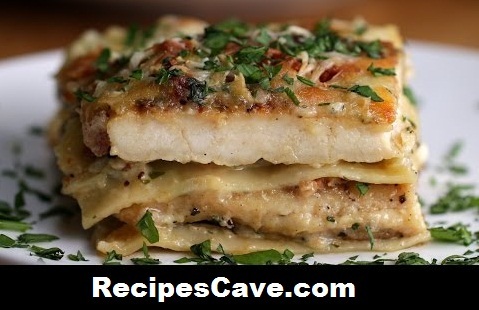 Chicken Alfredo Lasagna Recipe - Easy Chicken Recipe, here you will learn how to cook another awesome chicken recipe that tasty and healthy for your health. Follow the bellow simple steps to cook chicken. In a 9x13 rectangular baking pan, spread about ¼ of the cream mixture on the bottom. Cool for about 15 minutes, slice, and serve. your Chicken Alfredo Lasagna Recipe is ready to taste.